Causation is at the very heart of the toxicological world. Causation in toxicology is defined as the action of causing or producing an effect as a result of ingestion, inhalation, dermal absorption or other exposure routes to a toxic substance. It is the process by which the expert toxicologist establishes or refutes whether a potential adverse health effect is truly caused by an exposure, dose and duration. Establishing or refuting toxicological causation involves a highly specific and painstaking process of investigation as well as application of generally-recognized scientific, forensic and deductive principles. 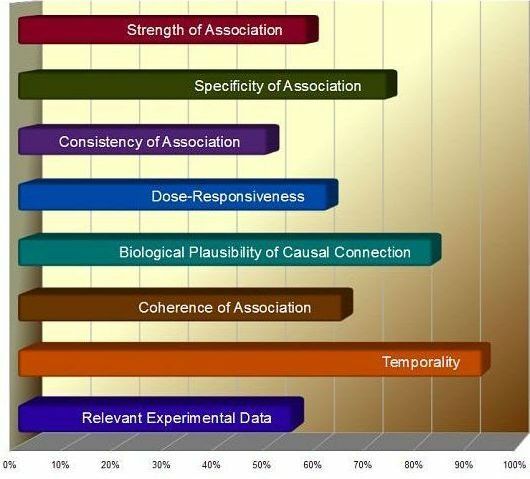 Toxicological causation analyses require a thorough investigation and review of all available data and case facts including generally-accepted toxicological studies, relevant deposition transcripts, medical records, police reports and (in some cases) review or inspection of the exposure or accident scene. The expert toxicologist forms a causative opinion based on the relationship(s) between scientific information and objective evidence. Assessments must be based on sound methodologies, sometimes covering a wide range of substances. The expert must present all evidence, methods and results in an unbiased, scientifically credible and objective manner. It may also be incumbent upon the expert toxicologist to present his findings clearly and succinctly to the court, jurors and (in some cases at the client's request) the news media or other lay persons. It is important to note that causation may or may not be established in an investigative assessment. There is no guarantee of a conclusive outcome. However, direct on-site investigation, exposure reconstruction supported by laboratory analyses, dose calculations and disciplined, thorough review of available (world-wide) toxicological studies in the peer-reviewed scientific literature will often lead to toxicologically-reasonable conclusions demonstrating or refuting causation. Generally, the expert toxicologist must either demonstrate or refute causation. There are two types of causation which the toxicologist may be required to assess: (1) general causation and (2) specific causation. General Causation is a methodology which determines whether or not exposure to a substance or agent is capable of producing an adverse health effect. General causation determination can also measure the potential for impairment or death stemming from the use of (for example) pharmaceuticals, drugs-of-abuse or alcohol. Typically, an opinion of general causation requires supporting evidence in the form of peer-reviewed scientific literature identifying dose-response relationships and/or epidemiological studies describing medical conditions associated with the exposure in question. The evidence demonstrating that the exposure (chemical, drug, substance, consumer product, etc.) is capable of causing the health effect must be reliable and recognized within the generally-accepted body of scientific and/or toxicological literature. 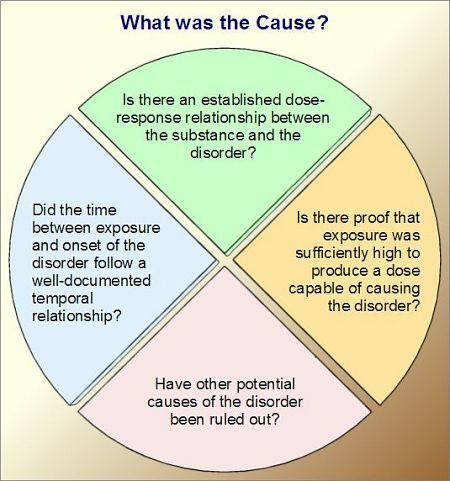 Specific Causation is a methodology which determines whether or not exposure to a substance or agent did, in fact, cause the specific adverse health effect at issue. There are significant and critical differences in distinguishing specific causation from general causation. It is possible that an exposure can be demonstrated to be capable of causing an adverse health effect, but this alone does not mean that it did, in fact, cause the effect. For example, radon exposure is capable of causing the same type of bronchogenic lung cancer as cigarette smoking. If both exposures have occurred, each must be appropriately quantified. This means the toxicologist must weigh the individual doses, timeframes and exposure frequencies and calculate the degree to which each exposure contributed to the adverse health effect at issue. Thus, individual exposure data must be compiled, quantified and assessed in accordance with the prevailing body of peer-reviewed toxicological literature. 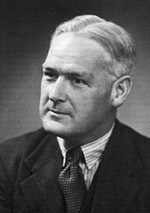 Sir Austin Bradford Hill (1897-1991) and Sir Richard Doll (1912-2005) pioneered the concept of case-control studies. Subsequently, Hill and Doll were the first to apply a scientific methodology to demonstrate the causal connection between cigarette smoking and lung cancer.3 Hill subsequently published a groundbreaking paper in 1965 in which he formalized his approach to determining causation.4 Today, Hill's criteria for establishing causation (the "Hill Factors") sets the toxicological standard for defining a causal relationship between an event and a consequence. In a toxicological causation assessment the "Hill Factors" are important components in compiling weight-of-evidence. Additionally, the expert toxicologist may apply a wide variety of experimental data showing the biological mechanisms through which a substance can or may create adverse health effects with respect to the metabolic pathways of the substance in animals and humans. These and other generally-accepted methods all contribute to a scientifically-sound causation determination. A weight-of-evidence approach should also include review of any available information regarding structure of the chemical at issue and the similarity of its structure to chemicals already known to cause certain health effects in humans. However, scrupulous care must be exercised when applying different studies to causative issues. Dr. Sheldon Krimsky, Professor of Urban and Environmental Policy and Planning at Tufts University, writes in his article entitled "The Weight of Scientific Evidence in Policy and Law" that "Each type of study may provide some evidence, but each has its limitations." He also writes, "If a chemical were known to be one of the causal agents responsible for a human disease, then we would expect a series of evidentiary pathways to converge on that conclusion .. But not all of the evidence may be consistent with the result." 5 Thus, confounding factors are almost always present in a causative investigation. The expert toxicologist's testimony must be responsive to answering the questions at issue and rest on a sound, reliable scientific foundation (Rule 702, Federal Rules of Evidence).9 In particular, toxicological testimony cannot be considered admissible if the evidence is based upon a "novel" scientific technique or methodology. Expert testimony must have its basis in reliable scientific techniques that are generally accepted by the relevant scientific community. Thus, although personal observations and professional experience may play a role in formulating an opinion, they do not, in themselves, constitute an admissible basis for a conclusion. The expert toxicologist must pragmatically assess the list of contributing factors, weigh them appropriately and communicate findings in a scientifically-sound and objective manner. Accordingly, causation cannot be based solely on professional judgment that is difficult to trace to a well-established scientific methodology. It cannot be vague, formulaic or ignore the complexity and case-specificity of scientific interpretation. Although a causative determination can have statistical support, the statistics merely support the reliable outcome of applying a generally-accepted scientific method. Thus, a scientifically credible causative opinion cannot be reached solely through statistics or extrapolation of numbers. For example, so-called "evidence-based medicine" has not achieved general acceptance in causation due to its very nature which reduces the role of expert judgment in favor of data compiled in computer programs. "If the plaintiff fails to establish the relevance and scientific reliability of a sufficient number of individual studies, the trial judge may exclude the expert's testimony and (in the absence of other relevant and reliable expert testimony on causation) grant the defendant's motion for summary judgment before the jury ever enters the picture." T.O. McGarity "Proposal for Linking Culpability and Causation to Ensure Corporate Accountability for Toxic Risks." William and Mary Environmental Law and Policy Review, Fall 2001. This reminds us that there are both judicial and regulatory approaches to interpreting toxicological evidence. In regulation, the strands of evidence are not assumed to stand by themselves but are seen as pieces of a larger puzzle. Scientific interpretation of the puzzle forms the basis of the peer-review process in which each piece is assessed on its merits by professionals with good education, experience and reputation. The expert toxicologist must also be mindful of the fact that good communication is paramount and judges and juries are not toxicologists. Toxicological assessments can be extremely complex and findings must be presented such that the court can understand them. A judicial interpretation may apply different weights to different pieces of evidence based on comprehension of the evidence as presented. Thus, whether submitting a report or offering testimony in deposition, being "right" and being concise are equally important. Conscientious application of brevity and meticulous attention to detail can go a long way toward avoiding misunderstandings in forensic matters. To that end, it is helpful to remember that the "weighing instrument" for "weighing evidence" is always human cognition. Forensic toxicological testimony can be complex and the more simplistically it can be presented, the greater the likelihood that it will be understood by a judge and jury. By sticking strictly to the science and presenting each piece of information in its most understandable form, the expert toxicologist assists the court by assembling the puzzle pieces into a comprehensive picture that either demonstrates or refutes causation. Concordantly, causation is based on weight-of-evidence which must always be based on good science. Ideally, WOE turns subjective perceptions in a forensic matter into a purely rational, objective experience. Since interpretation is involved, criticism must not only be expected, it must be anticipated. The expert toxicologist must be fully prepared to defend both his opinions and the data upon which his opinions are based — with concise professionalism, integrity and objective evidence. In forensic causation matters, the expert toxicologist proceeds in the direction in which the evidence leads. The goal of any toxicological analysis of causation is to establish the true cause to reasonable toxicological certainty. Since toxicological expert testimony has the potential to significantly impact the outcome of a case, accurate compilation of evidence, thorough collation of Hill factors and conscientious application of weight-of-evidence, are all central to an accurate toxicological causation assessment. Hill, A.B., "The Environment and Disease: Association or Causation?" 1965, Proceedings of the Royal Society of Medicine, Vol. 58(5), pages 295-300. National Research Council, "Environmental Epidemiology: Public Health and Hazardous Wastes," 1991, Washington, D.C., The National Academies Press, Vol. 1. T.O. McGarity "Proposal for Linking Culpability and Causation to Ensure Corporate Accountability for Toxic Risks," William and Mary Environmental Law and Policy Review, Fall 2001. TCAS demonstrative (redacted), graphical image © Copyright 2017 TCAS, LLC. "Assessing and establishing causation to reasonable toxicological certainty in litigation requires scrupulous attention to detail and methodology. Many years of experience are a virtue in conducting such assessments."